Bitcoin’s value methodology is still a black box. It undoubtedly has value, the question is what is this value? What drives it? Is it undervalued or overvalued? 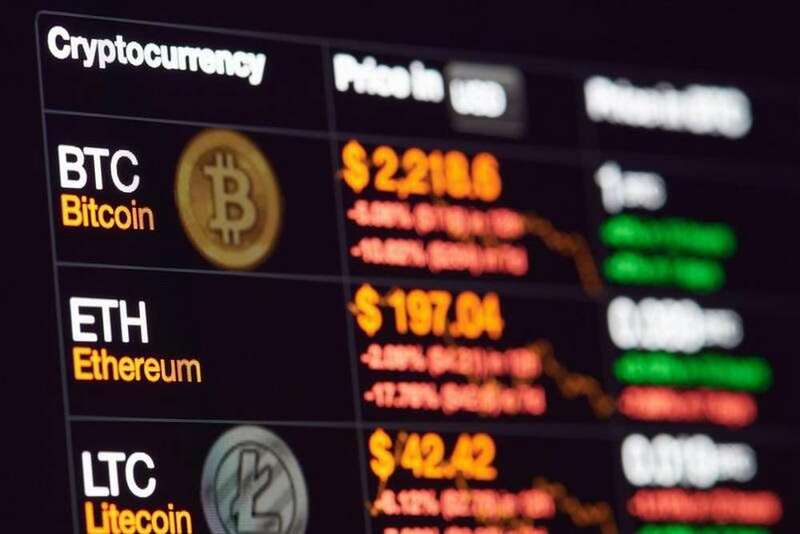 Although bitcoin occasionally experiences what some might call ‘price stability’, it’s clear that the price of bitcoin and other cryptocurrencies fluctuate. Comparing against any other asset class and any reasonable time frame shows a price volatility that stands out. Pundits love to wax lyrical about what drives crypto prices. Examples abound of all sorts of chart wizardry and novel fundamentals analysis involving new-fangled metrics around network stats and mining economics. To some extent, these methods to establish value can be useful. But remembering how even a broken clock is right twice a day, I’m sceptical that any of these valuation methods have proven to be consistently correct, even if sometimes they appear to be. Nov 2017 $750 $19,777 2,537% ??? It’s clear that these types of price movements are the fractal vacillations of a brand-new asset class with the powder-keg combination of high technological potential and little compatibility with existing mature valuation methodologies. As a result, price action is dominated by the only applicable model: human fear and greed. bitcoin is a currency. Its value arises from comparing its market cap against the M1 money supply of other fiat currencies / countries. bitcoin is a payment network. Its value arises from comparing its transaction volume against other payment networks like Visa. bitcoin is digital gold. Its value arises from sharing the convenient monetary properties of gold (portability, divisibility, fungibility, store of value) without the inconvenient ones (storage, transportation). bitcoin is a capital-intensive utility. Its value arises from the economic cost of securing the network through Proof-of-Work mining. bitcoin is a protocol. Its value arises from being the missing piece of the decentralised internet; introducing digital scarcity in a world of digital abundance. So, which is it? Some, all or none of the above? There doesn’t yet seem to exist a suitable model for most analysts or investors to benchmark bitcoin or other proof-of-work crypto-assets against existing asset classes. It’s just not compatible with their frameworks, and as a result we’ve seen hesitation for most big funds to allocate their portfolios to this new asset class, as crypto largely remains excluded from modern portfolio theory. Yield, the income that an asset produces, is typically considered separately to the price increase (capital gain) which is another method of making a return. In stocks and equities, the yield comes in the form of a regular dividend paid to shareholders. In real estate, the yield is the rent you can charge. The yield is the interest you can make on your cash deposits, or the coupon on your bonds. The income you can receive on a financial asset is an important part of establishing its value. It is the assets income, as well as the probability/risk of receiving this income, that underpins most investment decisions of today’s financial markets. Essentially, it is the one common anchor that helps asset managers benchmark different assets against each other and establish a preference for how much of each they want to own. Even cash fits into this framework, and investors who choose to ‘not-invest’ by preferring cash over other higher-yielding investments are making just as much of an active investment decision as the most ruthless Wall Street wolves. Without going into the technicalities such as compound interest, this gives a good example. As you can see, yield allows investors to better understand how they will be compensated for taking on various levels of risk, and thereby benchmark different assets against each other. This is price discovery in action. Proof-of-Work blockchains such as bitcoin are fascinating because they align self-serving interests with shared interests. The mining community, by participating in the race to find the block solutions and enrich themselves with new bitcoin and fees, also secure the network and provide consensus and authority over the “true” history of transactions. But even though this is a form of income for miners, this is not the same thing as yield. In the case of yield, investment returns should flow to the holder of the asset, whereas mining rewards are essentially a return on the capital equipment used to provide the mining work. As such, mining rewards are ‘earned’ exclusively by the owners of specialised facilities with millions of dollars worth of equipment. Gold investors know the difference between buying bullion and buying shares in gold miners, and while those mining shares might pay a dividend yield, it is not a yield being earned on the gold itself. Gold, like bitcoin, doesn’t earn a yield either (a common criticism of gold as an investment asset). This is probably why gold is frequently lumped together with other industrial ‘commodities’, even though industrial commodities, like iron or grain, have completely different valuation propositions: generally as inputs to value-adding processes. Gold on the other hand, for 6,000 years, has been differently regarded as a safe-haven, or store of value, or hedge against inflation. Gold is (mostly) a financial asset and doesn’t have “real” intrinsic value like industrial commodities, and yet is categorised in the same way. Why? Because it can’t be easily benchmarked against typical, yield-producing, financial assets such as bonds or equities. This, I believe, is the same problem suffered by bitcoin and other Proof-of-Work cryptocurrencies. What’s more, given they don’t enjoy the 6,000 year history of gold valuation, it’s also why price discovery in crypto is still fraught with volatility, as bulls battle bears in a relentless, algo-pumped, social-media amped, primal Battle Royale between greed and fear. People, of course, still invest in bitcoin and all of the other Proof-of-Work coins without yield because of their expectation of price increases and capital gains, much like fine art, vintage cars, and unoccupied properties. But the types of investors who look for yield have largely had no palatable investment options in the crypto sphere. While Nakamoto-consensus and the Proof-of-Work paradigm is responsible for kicking off the cryptocurrency industry, there are other alternative mechanisms for securing and maintaining blockchain integrity, such as Proof-of-Stake. Unlike Proof-of-Work chains, such as bitcoin, where mining rewards are exclusively the purview of specialised facilities, with Proof-of-Stake chains, rewards become obtainable to anyone who holds the coins. In such a scheme, the average Joe need only offer up his coins as a sort of collateral, and they can participate in the verification process needed to add new blocks to the chain. In this way, they can receive new tokens as a ‘reward for being honest’, and do so while remaining in full possession of their funds; they don’t need to lend them elsewhere. In turn they can earn compounding interest. In this model, income flows to the holder of the asset and not to the owner of expensive mining equipment. So, we have a form of crypto asset investment that is compatible with the existing mindset and methods of typical investors in financial assets. One caveat is that the yield itself is denominated in crypto, not fiat, which could be either an unwanted source of volatility, or an advantage if the yield you were earning was also subject to capital gains without prejudice, asif share dividends were paid in a fixed amount of shares not cash. While Proof-of-Stake is not a new concept, the first generation Proof-of-Stake blockchains encountered flaws that were unexpected and difficult to remedy retroactively (including so-called ‘weak subjectivity’, ‘long range attacks’, or ‘zero opportunity cost’ problems). It is only recently that projects are emerging that are deploying the Proof-of-Stake concept successfully, such as Tezos (live since 2018 Q3), Cardano (coming 2019), and Decred.. Even Ethereum, the second largest Proof-of-Work blockchain, has paved the way to soon switch over to Proof-of-Stake after recently completing it’s ‘Constantinople’ network upgrade. Staking rewards are a big deal. For most investors, whether retail or institutional, they will be the first taste of yield in the crypto domain. As people begin to understand and experience investment yield in crypto, this will spark a new wave of interest in Proof of Stake blockchains. The main beneficiaries will be the new generation of Proof-of-Stake projects that make it simple for non-technical users to stake or delegate their funds. For many of these projects the staking rewards are just a by-product of their consensus design, with the main mission being a whole new blockchain ecosystem enabling new types of smart contracts and capabilities. Nevertheless, with a design built around Proof-of-Stake, these new blockchains also incentivise holders of the token to hold onto their coins (thereby taming volatility), incentivise nodes to participate in consensus (boosting decentralisation), and reduce the need for Proof-of-Work mining, which is more energy-intensive. The big prize, however, will be to bring cryptocurrencies a step closer towards being accepted as a serious investment asset class. By going beyond capital speculation, bringing consistent, predictable yields with no counterparty risk, investors and institutions will finally be able to start wrapping their heads around how to price crypto properly. That means more methodical valuation, better risk models, disciplined investment and a higher readiness by big funds to deploy capital into crypto as part of established diversification strategies. I would expect price discovery to strengthen and volatility to decrease, even though many investors will still expect capital gains in addition to yield. Crypto capital markets will start to take form. In an era when most investors are starved of yield, I see no good argument for why crypto-yield will be any less legitimate than income-investing in any traditional asset class. Indeed, some investors may even prefer to take the additional risk of price volatility in exchange for mathematically-guaranteed payouts. The notion of a 0% default rate could become a very interesting proposition when the next cycle of government debt crises begins to emerge. In any case, crypto-yield is an important development and it seems clear to me that Proof-of-Stake blockchain assets will continue their march into the world of traditional financial investing.